With the snowy forecast for the start of Restaurant Week, we have added make-up days. 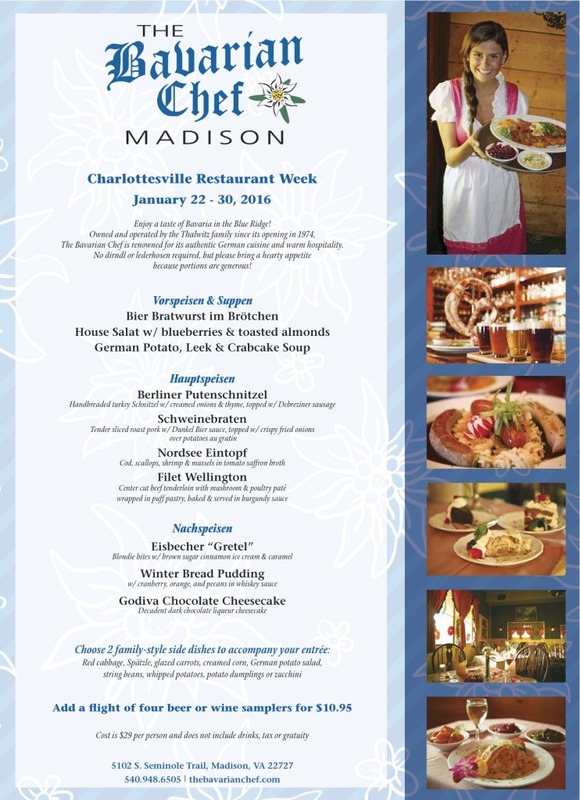 We will also offer our Charlottesville Restaurant Week Menu at the Bavarian Chef's Madison location February 5 - 7, 2016! Please call 540-948-6505 for reservations.